The Proof brand makes a very interesting set of clothing options in the performance realm. With some items, like this Performance Oxford, the performance amounts to very small changes over the standard. 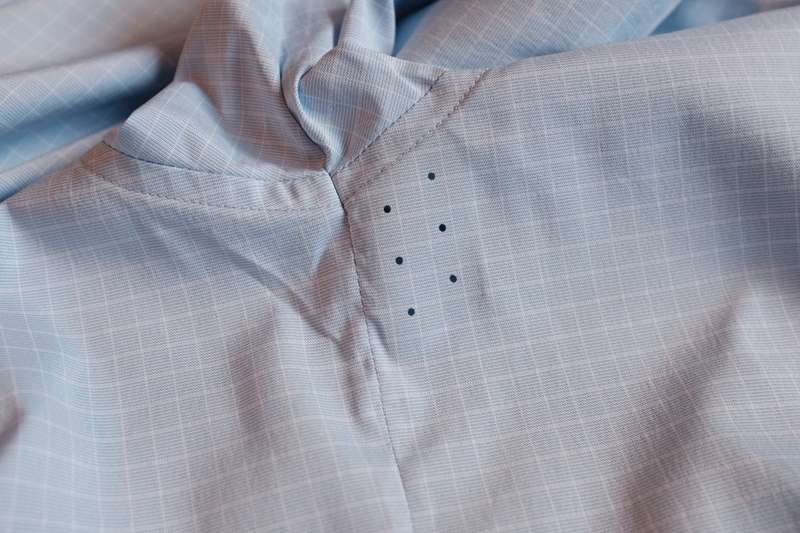 The goal of this shirt is to make something which looks completely normal while resisting stains, wrinkles, and being more comfortable. To some degree, it achieves just that. 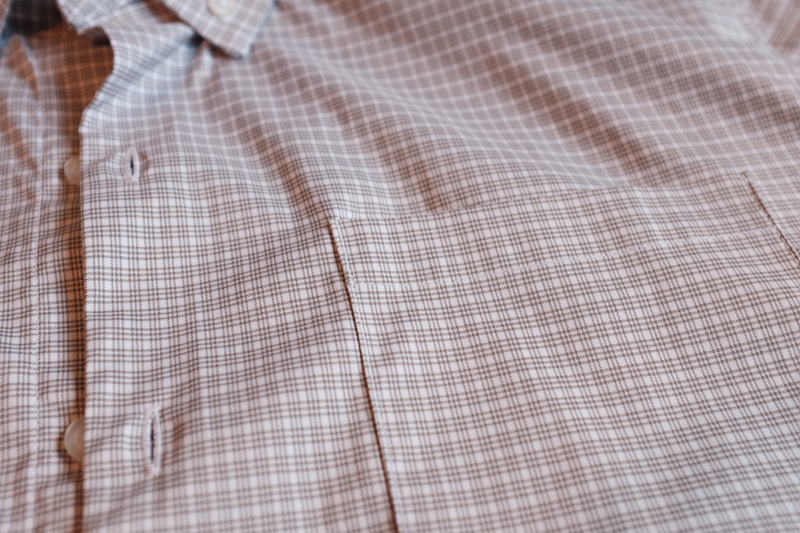 This is a heavier shirt with a dense weave to the material. It’s a 70% cotton / 27% nylon / 3% LYCRA® blend which offers solid stretch with a very normal look and drape. It also has a DWR coating to help resist staining. The fit is pretty standard for an oxford, it’s not overly tailored, but not at all boxy — I would put it around a tailored fit you would get from Brooks Brothers. On the style front this shirt looks good, certainly better than shown in the marketing pictures — I’ve received more compliments on my ‘looks’ while wearing this shirt than any others. The shirt is long enough to tuck in for me, but not so long as to keep you from wearing it untucked. The collar isn’t quite right, and that includes the buttons used to hold the collar in place. (I would also prefer contrasting colored buttons). The available colors for this shirt are not great and far from ‘standard’ which will make incorporating it into your wardrobe a bit more of a chore. The dark navy color I got onto pairs well with lighter color pants or solid black. Even denim doesn’t work well with it. This shirt is comfortable. Both because of the stretch and because of the familiar materials. It doesn’t dry fast or wick away sweat well, but it moves with you freely and wears warmer for cooler weather. I have yet to be uncomfortable in this shirt, but I have not wanted to wear it in warm to hot weather. The wrinkle resistance is OK, but not impressive compared to other shirts in this category. It does wash and hang dry nicely, without a need for further ironing or steaming. At $98 this shirt is a bargain for what you get. 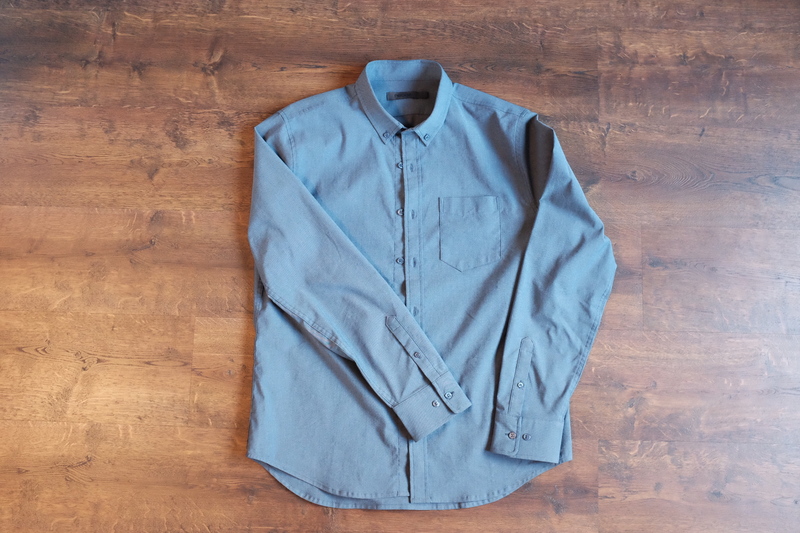 Many have been lamenting the demise of the Outlier’s NYCO Oxford, and I think this is a good replacement. What this shirt lacks in durability it makes up for with the added stretch and better cut. 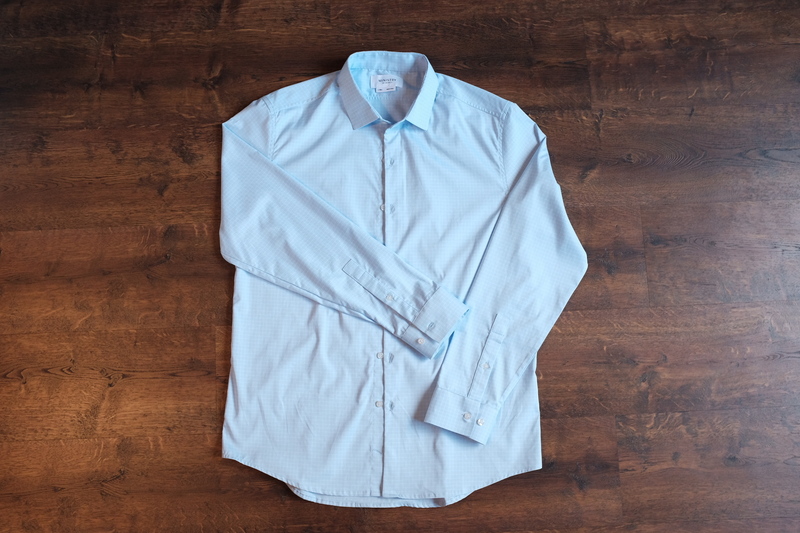 This shirt is best for people who only want to dip their toes into the performance shirting world, and not let anyone else know their shirt is anything but standard. The biggest drawback of this shirt is the high cotton content which keeps it from being quick drying. For an everyday shirt where you have access to more than one shirt this is a great shirt. Note: Ministry of Supply provided these shirts at a discounted price for review purposes. Ministry of Supply was my first foray into the performance clothing realm, and they have a very science backed approach to clothing. They also make a large variety of clothing with a clear focus for office workers and business travelers. It is also worth noting that they have a robust women’s line offering (when compared to other performance brands). I first tried the Apollo line years ago, so for this go around I wanted to test the Aero line which seems to fit what I like best: hidden performance. 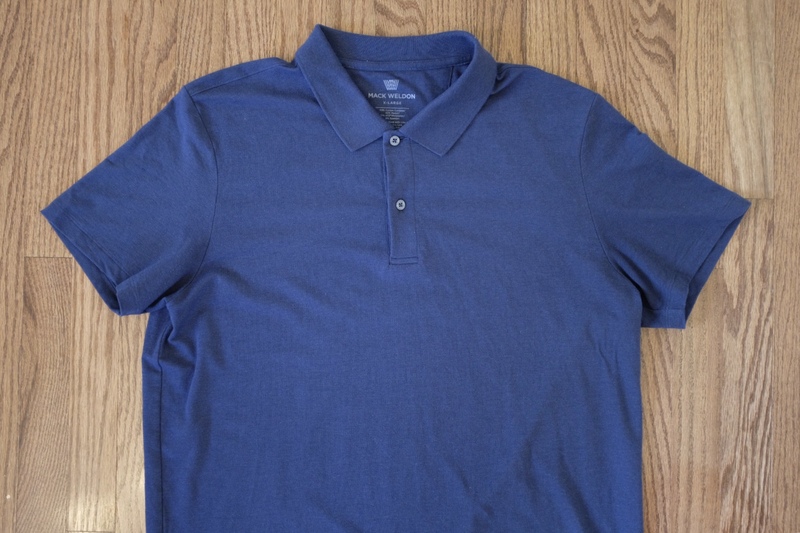 The material on this shirt is a polyester and elastase blend (98% moisture-wicking polyester, 2% elastane), making for a comfortable shirt with excellent wrinkle resistance and good mobility. (Note: Ministry has a few newer Aero shirts that use a nylon blend, I have not yet tested those.) The hand feel on this shirt is interesting, as exterior of the shirt is very slick feeling, while the interior is softer feeling. The fabric itself is very thin, perhaps the thinnest shirt I have tested yet, though it thankfully has no issues with transparency. Overall the fabric is very nice, with no noise when you move, solid stretch, and excellent dry times. 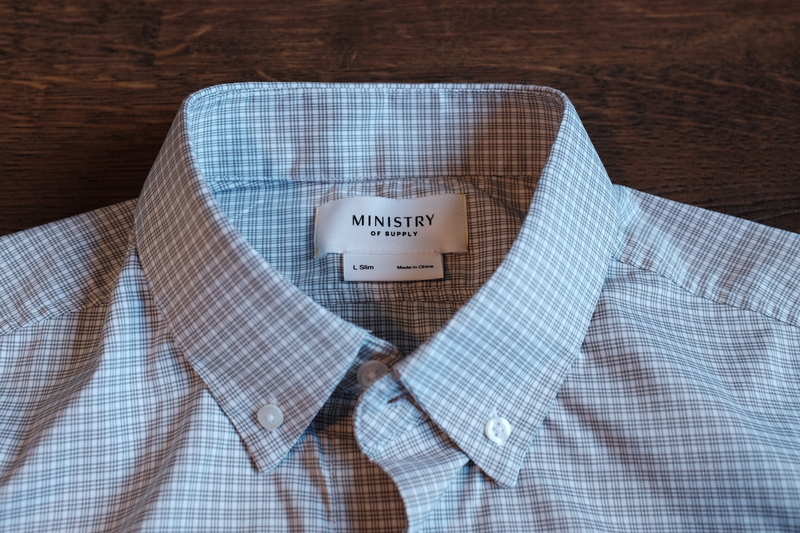 Ministry sells both slim and standard cuts of the shirt, both I bought are size L Slim, and they fit very well on my body. The sleeves are long enough, the collars are sized correctly, and the shirt has a tailored look through the body. As far as styling goes, they have a huge selection of colors and patterns available, almost all of which are very classic business looks. Nothing about the design of this shirt will stand out in an office, which is good. Crucially the collars are something worth noting, as Ministry has taken the time to try and perfect the collars of these shirts. I bought two styles, a traditional button down (where the collar buttons down), and a button up (where the collar has no buttons). Both are great, with the button down having a stiff enough collar that it always looks sharp. But I want to focus on the button up, as those collars are notoriously hard to manage. 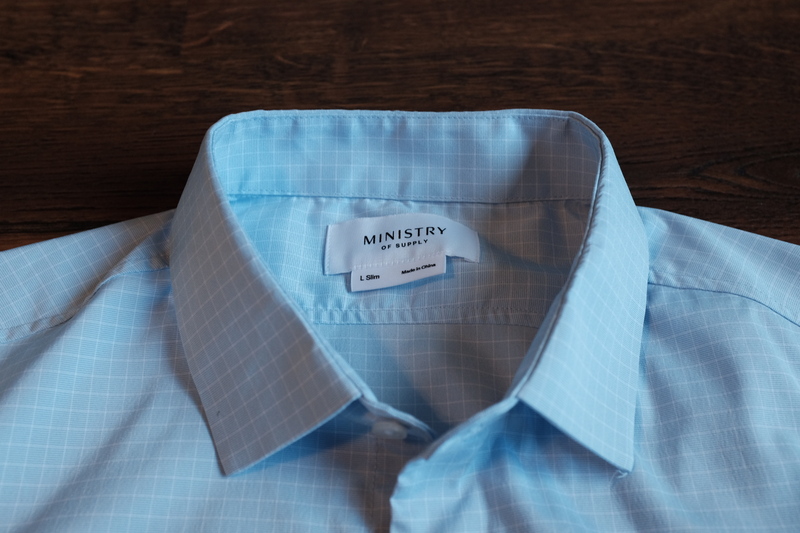 Here’s what Ministry says about the collar: “Geometric design and built-in, never-warp collar stays remain crisp on its trips through the washing machine. (Yes, the washing machine. )” I will attest that this statement is not hyperbole or marketing fluff, it’s the real deal and has left me very impressed. The collars have built in stays which are not removable and are very flexible. I didn’t realize they were there at first. 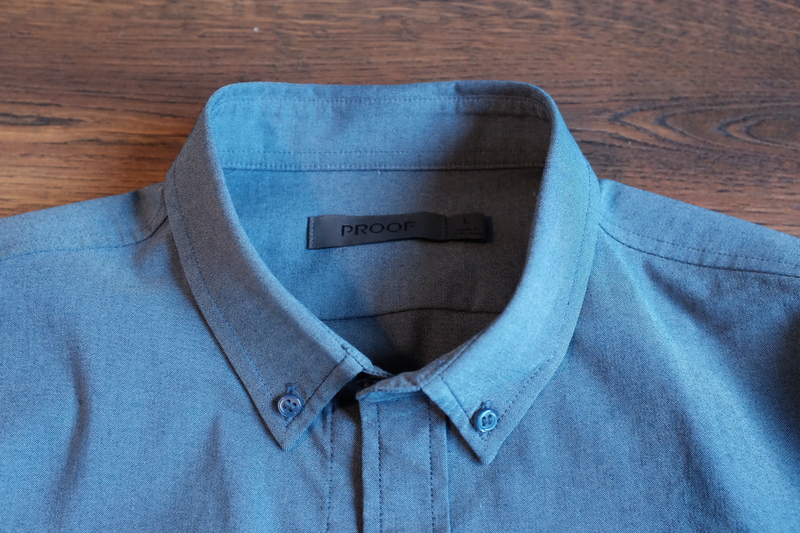 And the entire collar stays put just as you would want it to all day long. I am not sure what kind of magic this is, but it does feel like magic. The material looks pretty close to cotton, but has a very slight sheen to it. Not enough that most would notice, but when comparing to cotton side by side you can tell. Otherwise the shirt is very normal looking, making it even better for blending in. Overall, whether it be the style, or the fit, this shirt is perhaps the best looking and fitting of any I have tried. Ministry has three claims to the performance, so let’s tackle them all individually. The first claim is that the shirt is great for mobility, because of the stretch and cut. While the shirt is better than basic cotton, I do find myself wishing for a touch more stretch, but only in the most extreme circumstances like bending forward with both arms to tie a shoe. Otherwise I’ve not been restricted by the shirt in any way. 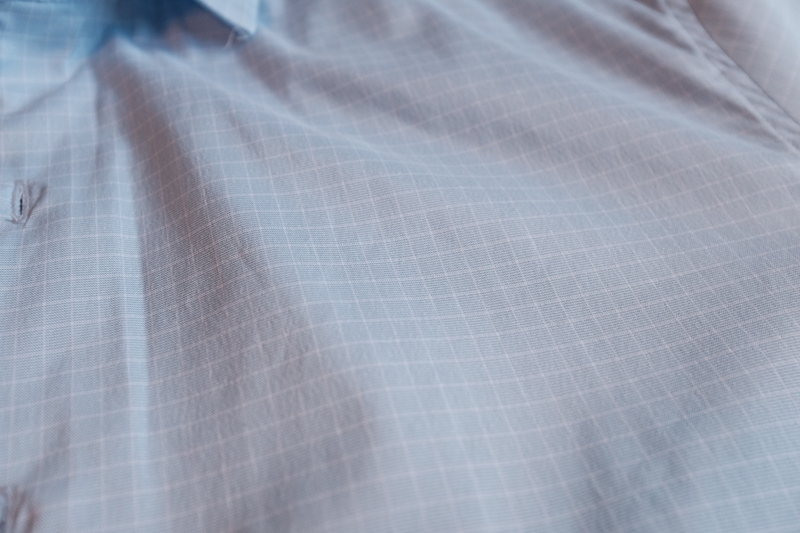 The second claim, as stated on the website, is: “Targeted laser-cut ventilation combined with moisture-wicking, breathable fabric pulls sweat away from your body, reducing stains and odor.” This is almost two claims in one, both that the shirt will resist odor and keep you cool and comfortable. Let me just state now that I don’t see a high odor resistance with this shirt, as I can only get one wear out of the shirt before it stinks. On the cooling however, this shirt is amazing. As I mentioned this shirt is very thin, which means that it wears very cool. Couple that with how fast the shirt wicks moisture and dries, you can start to get a sense for how well it handles heat. But there’s also a series of laser cut vent holes in each armpit that you cannot see when wearing the shirt, to further aid with cooling. I’ve worn this shirt both in a Seattle winter, and high 80 degree humid heat in Houston. In cold weather, this shirt is very cool to wear and needs layers. In hot weather this shirt is awesome, where even a slight breeze can cool you greatly. It is the best hot weather dress shirt I own, with only the linen shirts competing. 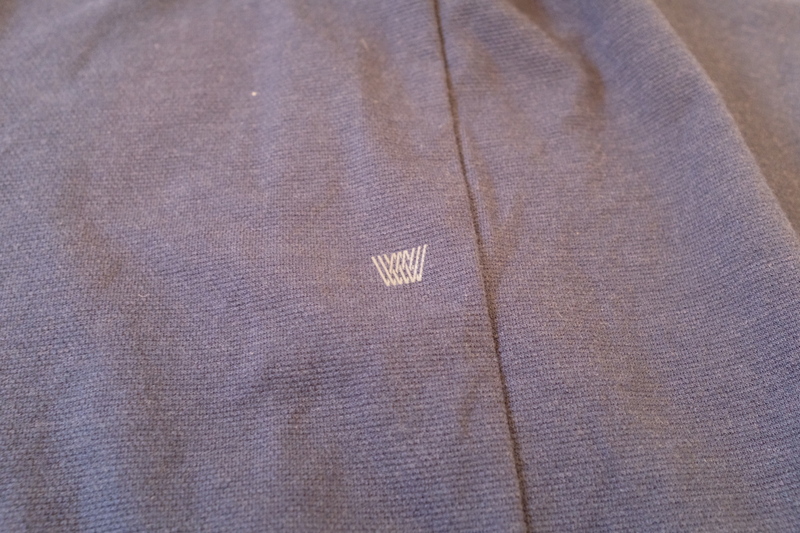 For all this awesome there is one issue I’ve had with the shirt: it shows sweat easily. So it is common to see armpit sweat on this shirt when the sweat is still wet, in both colors I own, and though it dries quickly and there’s no residue left behind. There’s no masking of it at all, which is rather unfortunate. The last claim is wrinkle resistance, and I’ll be short in this one because this shirt resists wrinkles better than any other I have tested. They fall out quickly and are harder to get set in. If you often are annoyed by your bag causing your shirt to wrinkle, this shirt will remove that annoyance. 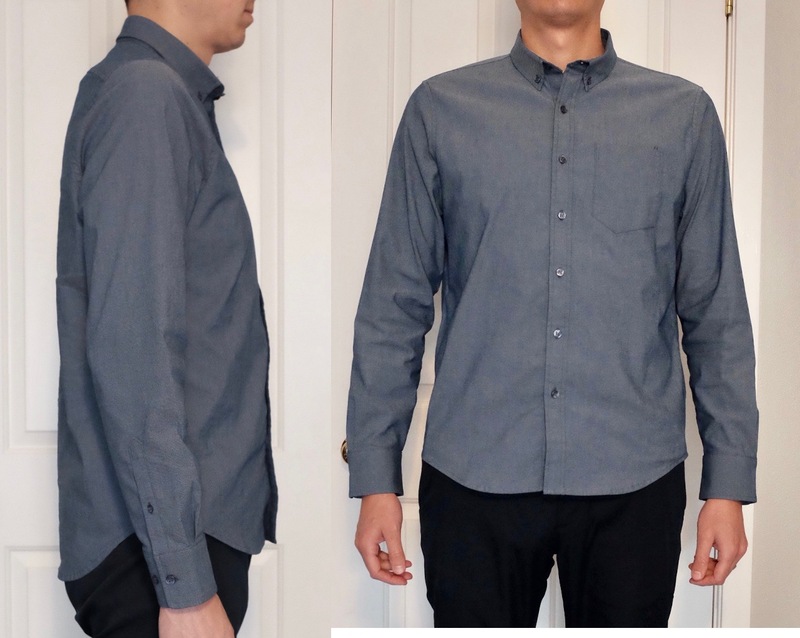 At just $115 this shirt is a great value and perhaps the best option on the market for office workers looking to fly under the radar with shirts that perform better. 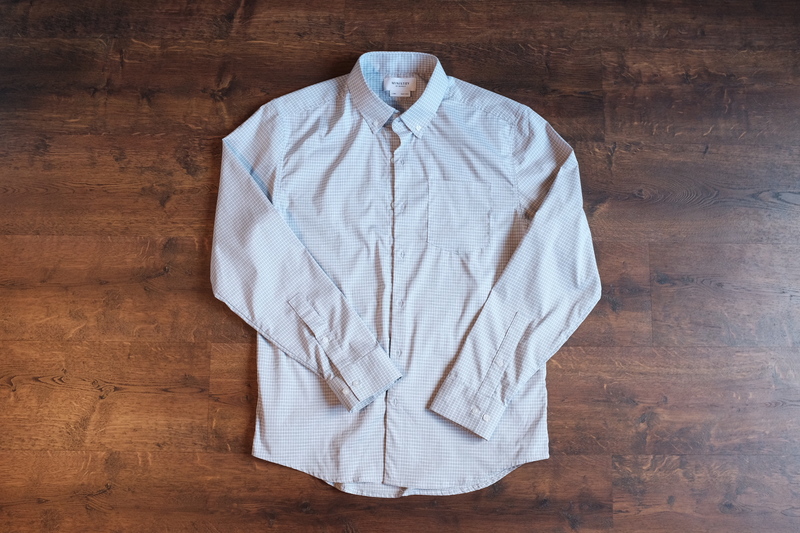 It would also be a killer travel shirt if it had a little better odor resistance, but unfortunately there are better options to keep you from needing to wash with every wear. For me, I’m going to get one or two more of these shirts, because they are great if multi-day wear is not something you need to worry about. If you’re a regular reader of Everyday Wear, you probably notice some fiber bias in our choices for tops vs. bottoms. We typically find natural fibers to be the best for tops and synthetic for bottoms. Hopefully that bias can be explained in more detail here. To start, the nature of skin contact of tops vs. pants is different. Think about any of your traditional cotton clothing — bottoms like jeans can go many wears between washes, but cotton t-shirts typically need to be washed after every wear. This difference in how much sweat and skin oils accumulate is why tops typically need more odor resistance than pants to have a benefit over the traditional options. Most also tend to be more sensitive to the feel of fabric of a top vs. bottom as well. This helps guide our choice of fabrics. A few of the big differences between natural and synthetic fibers — odor resistance, durability, feel against the skin, moisture management, and looks — help guide fabric choice based on the application. Natural fibers like wool and Tencel tend to have more odor resistance than their synthetic counterparts while maintaining good moisture management. They also have the best feel as they tend to look better with a more natural drape and non-shiny finish. Where natural fibers can fall down is durability (especially wool). The synthetics, like nylon and polyester, tend to have more durability (nylon) and excellent moisture management (polyester). Where they excel in technical performance, they can lack in feel and looks. No one wants a rough nylon shirt against their skin or a clingy and shiny polyester shirt for wear outside of active pursuits. Blends of natural and synthetic can often combine the best of both worlds, but can also end up with the worst properties of both. For all the reasons covered above, tops need to have excellent odor resistance, moisture management, and comfort. 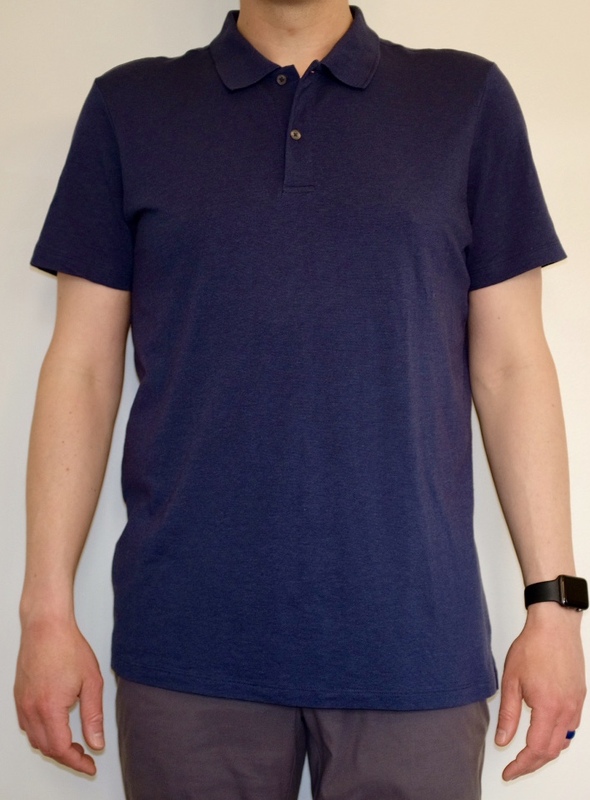 This is why many of our favorites are merino like the Outlier Ultrafine Merino T-shirt (our review) and merino blends like the Wool & Prince Crew Neck. 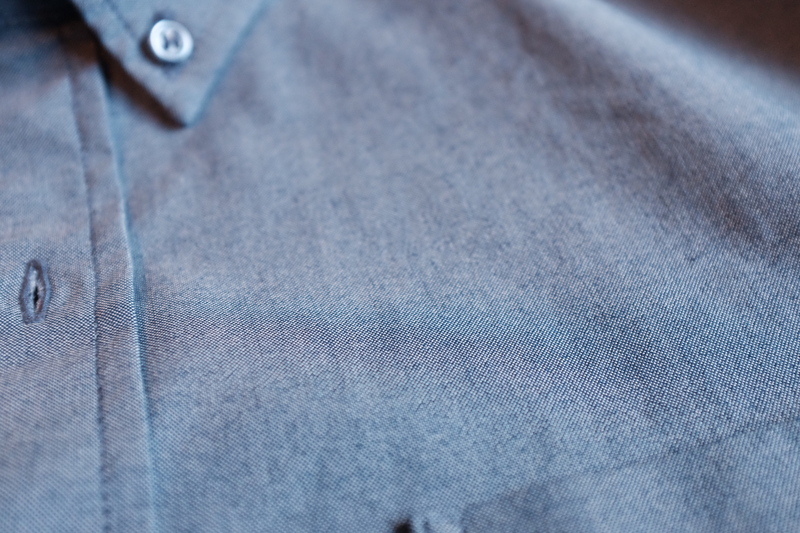 The odor resistance and comfort of merino can’t be beat. Bottoms, on the other hand, can sacrifice some of the odor resistance and softness needed in a great top for more durability and structure. Our favorite pants include the Outlier Futureworks (our review) and OLIVERS Passage Pant (our review). These are both mostly nylon, which seems to us to give the best balance of comfort, looks, and durability. Not a surprise, but the selection of the best fabric for a piece stems mainly from its’ performance. We favor natural fibers for tops for the odor resistance and comfort and synthetics for bottoms for the durability and structure. Of course, this all comes down to personal preference, but we’ve found that we lean this way for our favorite pieces in our wardrobes.